Blogger’s Note: Today’s children and families often have limited opportunities to connect with the natural environment. This “nature deficit” is believed to have a negative effect on children from childhood obesity to social and psychological issues. Connecting children with nature has a huge impact on the following: enhancing cognitive skills, reducing stress, improving problem solving skills and helping children develop an appreciation and respect for nature to name a few. As a child fortunate enough to grow up in the country surrounded by nature, this blogger is a huge advocate of the importance of exposing children to the natural environment. Teaching children to respect nature will allow them to grow into well-rounded, environmentally conscientious adults resulting in a greener future. One architecture studio agrees and has built an outdoor classroom that evolves to constantly teach children about nature. Great design can bring kids closer to nature without hurting the bank. Just ask AP+E, an architecture studio that designed Hedge School, a competition-winning pavilion used as an outdoor classroom for a primary school in Carlow, Ireland. Made of natural and sustainable materials, this low-cost timber amphitheater creates a playful and sensory environment surrounded by nature. Set in a green lawn, the Hedge School is defined by a circle of plywood columns of varying heights that support a staggered row of wooden planters. A steel wire mesh for growing vines covers the space between the pavilion floor and planter. The interior of the pavilion, which was designed with the scale of a child in mind, features a gravel floor and plywood platforms that double and steps and seating. The unnprogrammed space is large enough to accommodate a class can be used for a variety of purposes including performance, cooking lessons, and play. AP+E also created a year-round planting design to give the Hedge School a continuously evolving appearance with minimal maintenance. The pavilion’s raised plant beds allow students to grow their own food and watch the plants develop over the seasons. “Through planting, growing, studying and finally eating their plants the children are not only taught basic skills but more importantly also learn how their actions directly affect their surroundings,” write the architects. Over time, the entire pavilion will be cloaked in a veil of greenery. From the article “Outdoor living classroom constantly evolves to bring children closer to nature” by Lucy Wang. The four hundred year old technology of Gasification is finally getting some well deserved attention in the Alternative Energy world. With companies like Waste to Energy Systems fine tuning the gasification process, biomass as a fuel source for the process will continue to grow in popularity, especially in areas where electricity costs are high and biomass is abundant. A recent article from the International Market Analysis Research and Consulting Group published on www.altenergymag.com discusses the growth of this technology. Gasification is one of the promising and new technologies for generating electricity from solid fuels or biomass such as wood, organic-waste and agricultural residues. The biomass gasification process uses heat, pressure and partial combustion which occurs when the air supply (O2) is less than adequate for the combustion to be completed. The utilisation of biomass energy can provide dual benefits: reduces carbon dioxide (CO2) emission and increases fuel security, as it is usually produced locally. There are several other advantages of generating electricity through biomass gasification. • Reduces methane: Using biomass for generating energy reduces the level of methane in the atmosphere. Methane is responsible for the greenhouse effect and with the production of biomass energy, the gas levels are lowered. • Advantages over other renewable energy sources: Unlike wind or solar power generation which depend upon the amount of sunlight or wind available, energy from biomass is not intermittent. The recent focus on renewable energy resources and environmental concerns is driving the market for biomass electricity. Although there are several challenges, this market has grown at a CAGR of around 8.4% during the last 5 years. Recognising the prospects of exploiting the market for generating electricity through the process of biomass gasification, IMARC Group has released a new report titled, “Biomass Gasification Plant Project Report: Industry Trends, Gasification Process, Machinery, Raw Materials, Cost and Revenue”. The report states that currently Europe represents the biggest market for biomass electricity production, followed by North America. Analysts predict that China, Brazil and India also have huge potentials for this market. Blogger’s Note: As Renewable Energy becomes a stronger driving force, it is beginning to pick up some unexpected heavy hitters. The Waste to Energy Systems Team is thrilled at how popular alternative energy is becoming and with each prominent backer, the success rate of these types of technologies improves by bringing awareness to the masses. Nine of the country’s biggest companies just helped set a new standard for corporate sustainability. Goldman Sachs, Johnson & Johnson, Nike, Salesforce, Starbucks and Walmart are among the handful of hugely recognizable names that on Wednesday committed to using 100 percent renewable energy, with several expecting to reach their goals within the next decade. Goldman Sachs set a target of 100 percent renewable energy by 2020, while Nike aims to hit that by 2025, and Johnson & Johnson by 2050. Procter and Gamble set its sights on a short-term goal for 30 percent renewable energy by 2020, while some companies, like financial services firm Voya International and furniture maker Steelcase, are closing in or have already reached a full reliance on renewable energy. That these Fortune 500 firms have thrown their significant weight behind RE100, a global campaign to cut down on CO2 emissions by turning to renewable sources of energy, suggests a major shift in corporations’ awareness of their responsibility to lead their respective industries away from carbon. And companies are realizing the business boost gained by placing financial incentives on themselves to use renewable sources. A recent report by the environmental nonprofit CDP, which organizes RE100 in partnership with The Climate Group, found that the number of companies putting a price on their carbon emissions has tripled since last year. “Lowering risk, protecting against price rises, saving millions and boosting brand is what shaping a low carbon economy is all about,” Climate Group CEO Mark Kenber said in a statement. The corporate sustainability movement is gaining speed: RE100 launched last year with 13 members, including Ikea, H&M, Nestle, Unilever and Mars. That number has since grown to nearly 40, with groups joining from across various industries. Recent members include financial services provider UBS and Dutch sciences company Royal DSM. Ikea, everyone’s favorite furniture go-to, has installed 700,000 solar panels on its buildings and last year generated renewal energy to match 42 percent of its total energy consumption. H&M, among the many retail outlets facing pressure for contributing to wasteful fast fashion, plans to cut its electricity usage by 20 percent by 2020. Companies are finding various ways to harness efforts to reduce their carbon footprint as an economic opportunity. Under The B Team, a nonprofit led by top business leaders, companies like Unilever and Virgin are seeking to reach net-zero greenhouse gas emissions by 2050. And as part of a coalition to promote sustainable business practices, HP expects to hit its emissions target early after partnering with SunEdison to rely on wind power, while L’Oreal is expanding its use of solar panels at various facilities across the globe. Kellogg will implement water reuse projects at one-fourth of its sites and has committed to zero net deforestation. The top keynote speakers, Dr. Charles Reith, Professor of Natural and Environmental Sciences and Sustainability Director at the American University of Nigeria and Dr. Dan Len, Regional Biomass Coordinator for the Southern Region Forest Service, left the attendees with a positive message on the endless possibilities that biomass and bioenergy present. 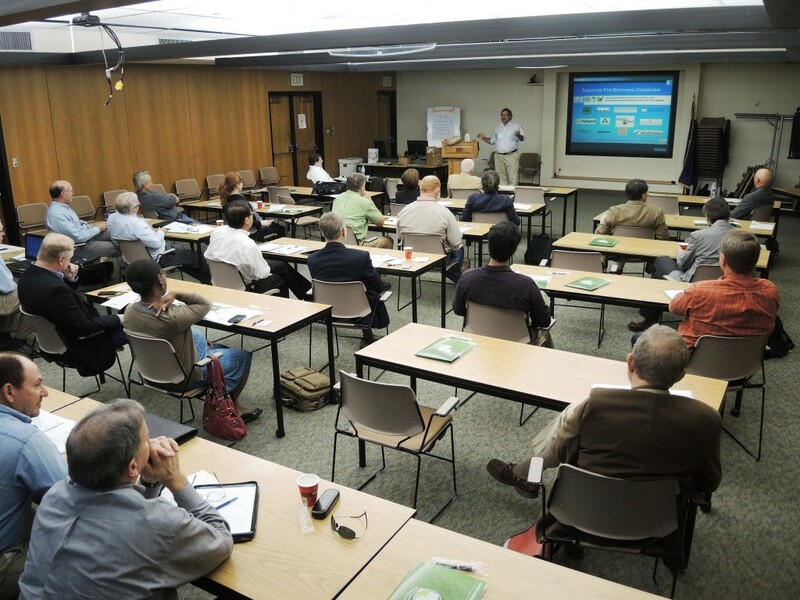 Their message was supported by other industry speakers such as pellet companies, area business development leaders and local energy companies. Dr. Les Groom of LSU discusses Biomass as a Feedstock for Gasification. 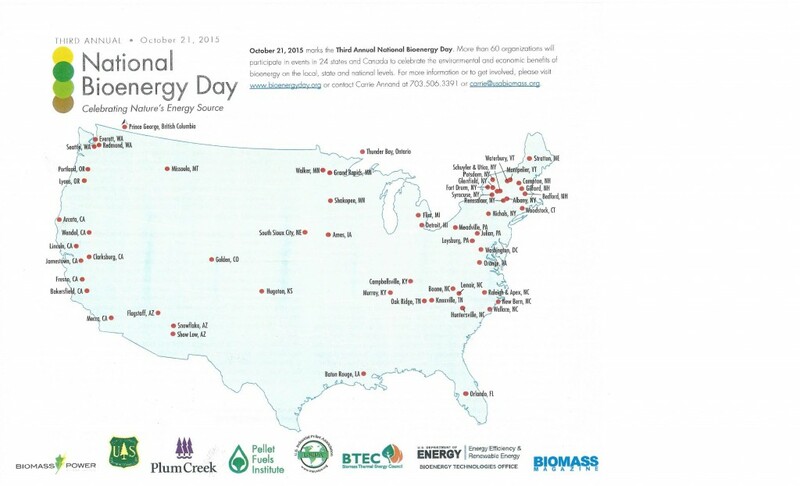 Events like National Bioenergy Day will continue to increase awareness among the general population of the alternative energy applications that are available, including processes like downdraft gasification systems, and build confidence in biomass as a fuel source. Our CEO, Richard Woods was featured in the Entrepreneurship Issue of the Greater Baton Rouge Business Report Magazine. The article highlights his R&D efforts for our system and his future goals for both of his companies, Albany Woodworks and Waste to Energy Systems. The complete article is found below. When Richard Woods noticed a barn being torn down in his Louisiana hometown of Albany 40 years ago, he had no idea the event would inspire him to open not just one, but eventually two unique businesses. He constructed his entire home with antique heart pine and cypress that he carefully salvaged from 100-year-old buildings like the barn, along with as much recyclable material as possible. “I’ve been an environmentalist my whole life,” Woods says. He found the reclaimed wood to be much better than anything people could buy new. “It naturally grew from that desire to use waste in a positive way for a business,” he explains. The home he built for his family is where Albany Woodworks got its start. Today the family business works to reclaim original well-seasoned beams, using state-of-the-art machinery, to be used in new construction or remodeling projects. In the process of growing his lumber company, Woods had to find ways to deal with the waste his operations produced. In search of a sustainable use for byproducts like wood chips, sawdust and shavings, he began researching methods of converting these into a viable energy source in 2009. After five years of intense research and development, he invented the bioHearth, which uses gasification, a method of converting any kind of carbon-based waste into hydrogen and carbon monoxide. These combustible fuels can then run a generator, kiln or any other energy consumption system. “So it is not a limited market,” Woods explains. “It can go anywhere.” Now successfully running the Albany Woodworks generator from the plant’s waste, Woods is ready to take his bioHearth technology to market as part of his second startup, Waste to Energy Systems. While gasification is being exploited in Europe and India to turn industrial waste into usable energy, Woods explains what makes his system more practical and more energy efficient is its ability to be installed on-site rather than the company having to haul its waste to a gigantic plant. “So you build a system that would fit right into their system; that is our unique concept,” he says. It might be surprising to discover Woods has no formal degree. “What I do is I know how to learn and I know who to apply what I’ve learned, and that is how I’ve built two businesses,” he says. “I think that is the key ingredient to entrepreneurship.” He is now using that same process to pursue patents for his technology. At age 65, Woods says he wanted to dedicate his last efforts to something that would make a difference in the world. Juggling two businesses is no easy task for Woods, who will often pull an 18-hour day working to bring his bioHearth to market. Five months ago he put up a webpage to start marketing it and has since been inundated with contact from people wanting to know how it can help their industry. “People just started showing up, just like they showed up wanting my wood,” Woods say. He sees the bioHearth as a viable tool for emerging markets and counties—particularly in the Caribbean and anywhere with an electricity shortage, as well as anyone who is paying money to haul away waste. Woods has funded 75% of the venture himself, with aid from angel investors along the way. While his invention undoubtedly has many environmental benefits, the real key is economic viability, which he has achieved, calculating a return on investment on the system in just under five years. Homesteading and foraging are very popular sustainable trends these days. Ideal for those that live in rural areas and the time to dedicate to growing their own food. The idea is wonderful but not realistic for everyone’s living situation. So how do those that live in more urban areas with only a backyard available to them have the opportunity to live off the land? The answer could be as simple as what naturally grows in your backyard. Here is a list of edible plants that most people have easy access too! Violets- This lovely purple flower often grows wild and most consider it a weed. However, the leaves and blooms are actually edible! They contain vitamins A and C. They can be used in salads or cooked as greens. The flowers can be made into jellies, candied, or tossed into a salad. Evening Primrose- Native Americans have been using this plant as food and medicine for thousands of years. The entire plant is edible. The seeds are used to make an oil that have medicinal properties. The blossoms are sweet and can be mixed in salads or as garnish for desserts. The roots and seedpods can be cooked. This plant is a great source of gamma-linolenic acid, an essential fatty acid that is not found in many plant sources. Creeping Charlie- Known as an invasive weed to most, the Creeping Charlie is very edible. Young leaves can be eaten raw or cooked. The leaves have a mild bitter flavour and can be tossed into salads to add a slight aromatic tang. They can also be cooked like spinach, added to soups, stews, or omelet. Tea is made from the fresh or dried leaves. It is often used mixed with verbena leaves or lovage. This wild edible has been added to beer in much the same way as hops in order to clear it and also to improve its flavor and keeping qualities. Goldenrod- Often blamed for allergies in most, this low pollen plant is a plentiful source of nutrition and medicinal benefits. Research has shown that Goldenrod reduces inflammation, lowers blood pressure, and helps with muscle spasm and infections. All aerial parts of the plant can be used. The flowers are edible and make attractive garnishes on salads. Flowers and leaves (fresh or dried) are used to make tea. Leaves can be cooked like spinach or added to soups, stews or casseroles. Leaves can be blanched and frozen for later use in soups, stews, or stir fry throughout the winter or spring. Dandelion- Probably one of the most common weeds, Dandelions are completely edible. Leaves, root, and flower can all be eaten. Dandelion leaves can be added to a salad or cooked. They can also be dried and stored for the winter or blanched and frozen. Flowers can be made into juice, or added into many recipes. The root can be made into a coffee substitute. The root and leaves can be dried, stored and made into tea. Dandelions are a rich source of vitamins, minerals and it even has antioxidants. For example, one cup of raw dandelion greens contains 112% of your daily required intake of vitamin A and 535% of vitamin K.
How Can Ancient Farming Methods Help With Climate Change? Technological advances have helped the world in many ways from longer life expectancy to space exploration. However in some areas, new technology may increase efficiency and mass production but it also harms the environment. One big area of debate is farming, sustainable vs. industrial. An important question in this debate is what methods did ancient farmers use for thousands of years in harmony with the environment and could they still hold merit in today’s world, particularly with the climate issues. A recent article from www.worldwatch.org discusses this very topic. From “Indigenous Farming Methods: Mitigating the Effects of Climate Change While Boosting Food Production” written by Mel Landers. Spanish conquistadors had great respect for the crops developed by the indigenous farmers of the Americas. A full 60 percent of the food eaten today worldwide originated in the region. But the conquistadors failed to appreciate the importance of the production methods used by those innovative local farmers. There are over 600,000 hectares of terraces in Peru alone. Many of these are still in use today. They were constructed with rock fill at the bottom, between the rock face and the slope, to allow for good drainage. Most were built with stairs for ease of access. Indigenous American crops were introduced in colonies around the world. But the farmers’ innovative production methods were shunned and, for the most part, lost to the world for 500 years. Serious efforts to rediscover these methods have only begun during the last few decades. Sophisticated hydraulic engineering projects can be found, on a massive scale, in the Andes Mountains and along the Pacific Coast of South America, developed by people who had no metal tools. Using only simple devices and their own manual labor, these farmers built thousands of hectares of terraces in the mountains and thousands of giant water-trapping depressions (Qochas) in the high plateaus. In Bolivia’s Altiplano, hundreds of square kilometers are covered by raised farming platforms (Waru Waru), causeways, canals, and manmade islands in an area that resembles a lake for half the year and is completely dry for the rest of the year. All this, as well, was built by hand. 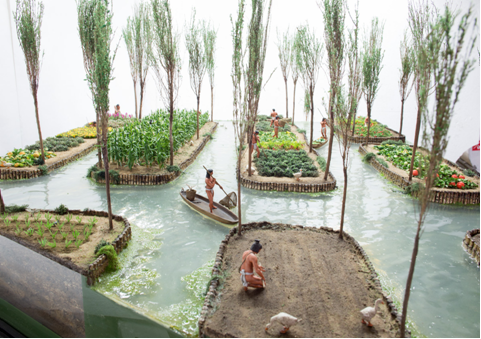 Much of ancient Mexico City was built over a lake, on which the Aztecs built thousands of floating platforms (Chinampas) on which to grow their crops. Other farmers directed rainfall into spiraling holes that led to underground storage chambers. And many indigenous cultures constructed irrigation canals. The practice shared by all these farming societies was their use of raised beds, covered with thick layers of organic matter, or mulch. It appears that indigenous populations built such systems throughout the Americas. It was arguably their most important method of coping with the climate variability caused by the El Niño/La Niña cycle. The Permaculture Research Institute of Australia has proven the value of this type of system by creating a lush raised-bed garden in the Jordanian desert. Raised beds, when tied together with ridges every few meters, can retain 100 percent of the rain that falls on the field, compared with less than 10 percent infiltration in a flat, ploughed field. During a drought, it is important to maintain the highest soil moisture content possible. During periods of excess rain, the beds hold part of the root system up in well-oxygenated soil, above the level of the standing water. This prevents anaerobic decomposition of roots and helps guarantee at least some production. Unlike today, there was no “food aid” available to ancient indigenous peoples. The raised structures were of variable lengths, but most were about a meter wide. If not formed on elevated platforms or terraces, they were commonly built on the contour to hold water and prevent erosion. When built in depressions, however, they radiated to the center. Crops were planted on the beds as the retained water receded. The organic mulch shaded the soil, keeping it cool and moist. It also prevented raindrops from eroding the soil surface. As the organic matter decomposed, it provided food for earthworms and myriad other beneficial micro-organisms. Earthworms help aerate and fertilize the soil. A permanent mulch also created the proper environment for mycorrhizal fungi, which help ensure that plants receive nutrients and pest protection. Heavy rains in the Amazon River Basin severely leach nutrients from the soil, leaving the native soils useless for agricultural production soon after forest is removed. Yet the first conquistadors to enter the Amazon Basin described their encounters with great agricultural societies, living in large cities that endured until European diseases devastated their populations. These cities were made possible by soil improvement techniques that have only partially survived in a few remote communities of indigenous farmers. For 2,000 years, famers in the rivers of the Amazon Basin were producing fertile soil on which to grow their crops, where no such soil had existed before. These soils, known as “black earth,” are still fertile 500 years after they were last made. They contain high concentrations of humus, powdered charcoal, and pieces of broken pottery. Although they are located high above the river levels, they contain aquatic plant remains and sand. The sand indicates that the people scooped up the river muck in the dry season and spread it over their beds. The pottery chards provide soil structure where no natural rock exists. The charcoal (potentially stable for thousands of years) provides a long-term depository for nutrients, buffers the pH of the soil, and mitigates the toxic effects of aluminum in the soil. The humus (potentially stable for hundreds of years) is like a sponge for nutrients and moisture. These soils cannot be reproduced simply by adding charred material. The humus is vitally important to the functioning of these soils. Fortunately, there are ways to produce large amounts of humus to recreate these super-fertile soils. Developing these soils today would contribute greatly to efforts to feed a world full of hungry people. The United Nations Intergovernmental Panel on Climate Change, in its 2007 assessment, suggests the use of ancient indigenous technologies from the Americas as a means of mitigating the effects of climate change. Evidence indicates that global warming is increasing the frequency and severity of both droughts and inundations. These ancient agricultural technologies hold promise for increasing food production worldwide. With nearly a billion people suffering from chronic hunger, the time is overdue for another agricultural revolution. The introduction of indigenous American crops 500 years ago started one. The introduction of their innovative production methods could start another. A growing demand is occurring as baby boomers begin to retire for sustainable, green retirement communities. This is expected considering the baby boomers were the first generation to be exposed to the relationship between human activity and its effect on the environment. Named the first green generation, baby boomers are beginning to expect that their retirement communities follow the rules that the green pioneers have fought so hard to implement. The New York Times article “Demand and Expectations Grow for Green Retirement Communities” discusses this demand. Pictured Above: Wake Robin uses 20% of its electricity from solar panels, meat and produce are from local farms and 50,000 ladybugs act as natural pesticides. A DIE­HARD community gardener and composter, David Conrad, 77, wanted to age in a retirement community that complemented his love of all things green. So seven years ago, he and his wife, Sally, moved to earth­friendly Wake Robin in Shelburne, Vt. Now Mr. Conrad spends his days managing the Wake Robin recycling campaign, along with working in the community garden and walking the community’s four miles of wooded trails. Other residents make maple syrup or tend beehives that produce honey, which is bottled and sold. “I wanted to live in a place that’s healthy,” says Mr. Conrad, who is a retired college professor. “So sustainability is very important. We like to think that we’re leading the way.” Green do­gooders like Mr. Conrad are indeed forging a new path for retirees. 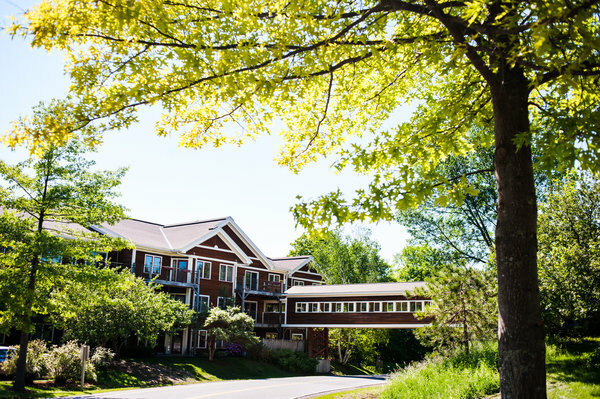 Though eco-­conscious retirement communities are still rare in the United States (exact figures are scant), they are expected to grow in number as baby boomers age and seek healthier, greener alternatives. “Moving forward, in the next 20 years, these green communities will become the standard,” said Andrew Carle, director of the senior housing administration program at George Mason University in Fairfax, Va. Lots of green communities are in the development stage, said Jamie Hopkins, associate professor of taxation at the American College of Financial Services. But for now, there’s more need than supply, especially as baby boomers age. Some places even have five­ year waiting lists, he said. These lush facilities offer lots of unseen benefits. Carbon footprints are reduced with energy­ and water ­saving initiatives, including geothermal heating and low­ flow toilets. And older people can enjoy environmentally friendly buildings that typically offer airy spaces with more natural light and indoor furnishings that use far less toxic materials. These communities can also reap subsidies and incentives that might provide more motivation to make the upgrades, experts say. The biggest challenge, though, is wading through the gray policy areas of green standards. So Mr. Hopkins recommends making sure there’s enough evidence to back up actual claims. “Eco-­friendly doesn’t mean a lot,” he said. “And some places just use buzz words.” For example, some so­ called eco­friendly communities may have golf courses, which use lots of water. Two types of official green standards can serve as guideposts, though. The first, said Mr. Hopkins, is Energy Star ratings on appliances, which is a government label that designates energy efficiency. Second is a community’s LEED certification, Mr. Hopkins said. It’s a widely recognized program put together by the U.S. Green Building Council to create healthier, more energy­ efficient buildings.